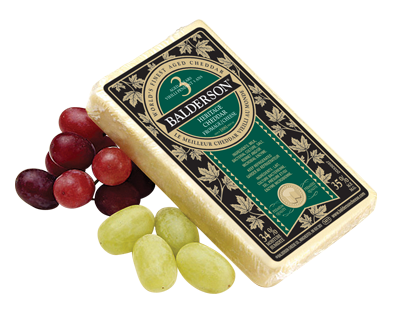 Taste: Stronger than Extra Old but maintains an even balance between the cheddar flavour and sharpness. May have small salt crystals which are a natural and desirable part of the aging process. Most popular age range. Usage: Best all purpose cheddar for most recipes. Ideal for baking, fondue, sauces or raclette grills. 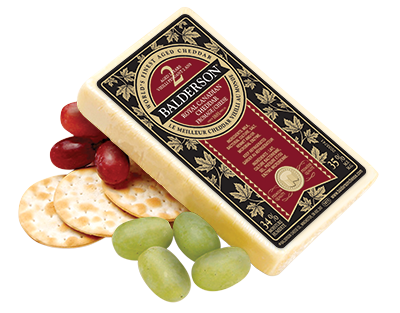 Pairs well with fresh fruit (pears, grapes, figs) and should be served on unsalted crackers or toasted baguette slices. 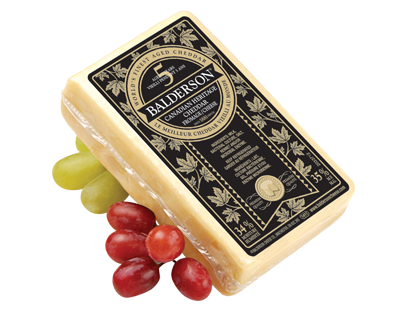 Taste: Drier texture from additional aging with a fully matured cheddar flavour and pleasant sharpness. Will exhibit some small salt particles or crystals. Usage: Recipes that require a stronger cheese flavour. Rich sauces, cheese trays and wine pairings. 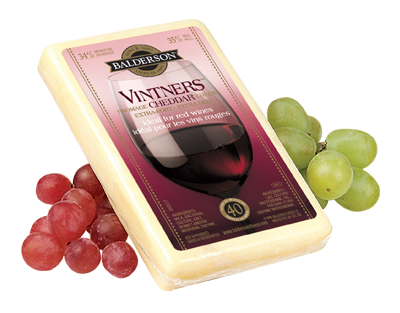 Ideal for Entertaining, cheese trays and cheese plates. Serve with full bodied red wines. Taste: Fully matured sharpness and flavour with a dry but rich, crumbly texture. Will exhibit salt granules and crystals. Sharp aroma. Usage: Entertaining, cheese plates, adult snacking. Ideal with full bodied red wines, port, sherry and dark beer. Best served at close to room temperature. 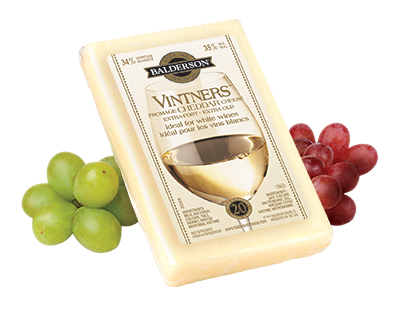 Usage: Especially aged and graded to complement the subtler and sweeter flavours of most white wines. Creamier texture that breaks down quickly on the palatte. No lingering aftertaste. Usage: Especially aged and graded to complement the full bodied flavour and tannins of most red wines.